Key words: downstream, migration, drift, larvae, Native Fish Strategy. Threats and Impacts: It is well known that migration is essential for a number of fish species, however prior to this study the downstream drift of eggs and larvae had received little attention in Australia. 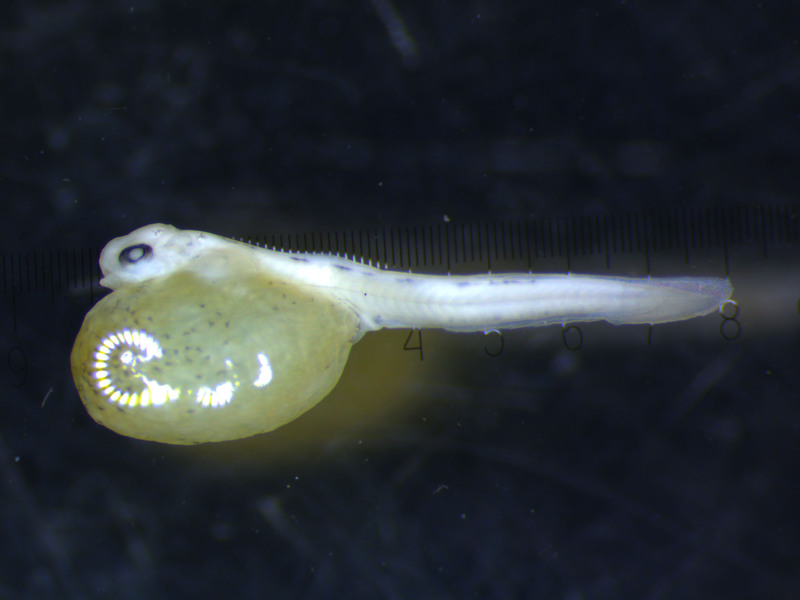 For those species in the Murray River which exhibit egg or larval drifting, altered flows and water extraction during spawning, hatching and larval development periods will contribute to changes in distribution and abundance of populations within river systems. Dams and weirs may also cause increased mortality of eggs and larvae if they pass over dams and weirs. Settlement and concentration of large numbers of drifting eggs and larvae in weir pools may also lead to poor dispersal of affected species. the impact of water extraction on downstream drift. Several techniques for sampling fish plankton in the Murray River between Mulwala and Barham were used including light traps, fyke nets, and drift nets. Intensive sampling took place in the first 2 years, and in the final year of sampling a modified drift net design was used to sample multiple levels within the water column and at four periods throughout the day. A subsample of drifting fish were aged by sectioning their otoliths and counting annual bands. Flow and water temperature data was collected from nearby gauging stations, and water quality parameters including temperature, dissolved oxygen, pH, conductivity, and turbidity were measured at each sampling event. Findings: Differences were reported between species in terms of where their larvae were captured: carp gudgeons (Hypseleotris spp.) and Australian Smelt (Retropinna semonii) were captured in backwater areas; Carp (Cyprinus carpio) and eggs were most abundant in the upper water column; and, Murray Cod (Maccullochella peelii) and Trout Cod (Maccullochella macquariensis) in the lower water column. Trapping at different times of the day revealed that most species were found to mainly drift at night. 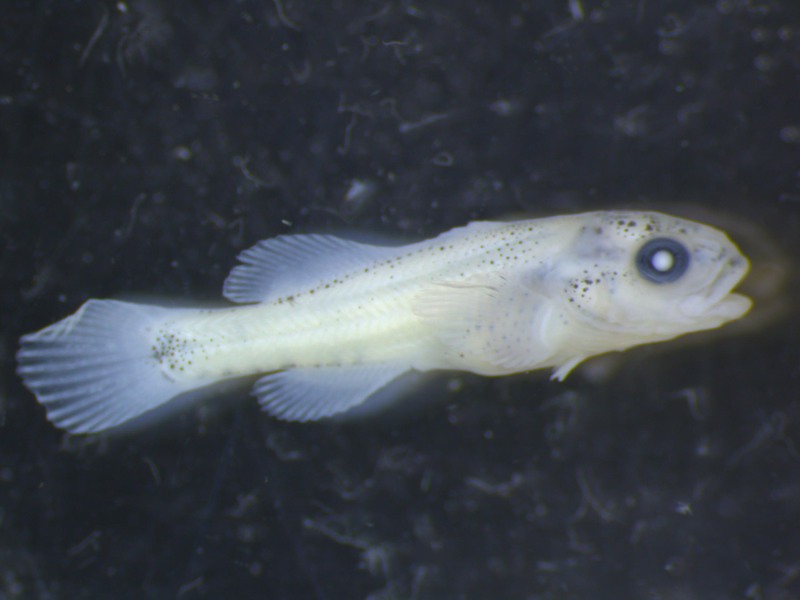 Larvae of both Cod species were patchy throughout the study area, and were detected from October to December, with the highest abundances found in November (Figs 1-3). Golden Perch (Macquaria ambigua) and Silver Perch (Bidyanus bidyanus) eggs were detected between mid October and late January, but no larvae or juveniles were found during the study. Larval and juvenile Carp began downstream drift in early October and continued to occur in the water column until February. The period of time over which Carp occurred in the drift was much longer than that observed for either Murray Cod or Trout Cod, and consequently this species was thought able to disperse further downstream compared to both Murray Cod and Trout Cod. No relationship between flow and spawning of either Murray Cod or Trout Cod was identified, and reproduction of both Cod species was noted to be greatest in 1997, when spawning occurred at low river flows. In contrast, Carp spawning activity was closely associated with inundation of the floodplain habitats, and flows >9,500ML from early September were considered likely to result in substantial Carp spawning. The Torrumbarry weir did not appear to obstruct downstream drift of Cod, but did increase the number of Carp that settled out of the drift. Water extraction was noted to have the potential to remove a large number of Murray Cod and Trout Cod larvae and Golden and Silver Perch from the Murray River, impacting on recruitment of riverine population of these species. Lessons learned and future directions: Because of the nocturnal drift patterns and short drifting window, this study concluded that only Murray Cod and Trout Cod larvae spawned within short distances of weirs and weir pools are likely to encounter these structures. Unexpectedly, the Torrumbarry Weir did not appear to have a significant impact on the drift of either Murray Cod or Trout Cod larvae; on the contrary the weir pool may in fact increase recruitment due to this habitat having a nigh abundance of food for the larvae. The nocturnal drifting behaviour of both Cod species has important implications for management in the Murray River. Potentially millions of Murray Cod and Trout Cod larvae and the eggs of Golden and Silver Perch are lost from the river via water extraction if the densities of these found in this study were scaled to the amount of water extracted from the Murray River. As Murray Cod and Trout Cod have a small drift duration window (October – December), it is possible that scaling back water extraction during these months could increase current levels of recruitment which could result in substantial rehabilitation of Murray Cod and Trout Cod populations. 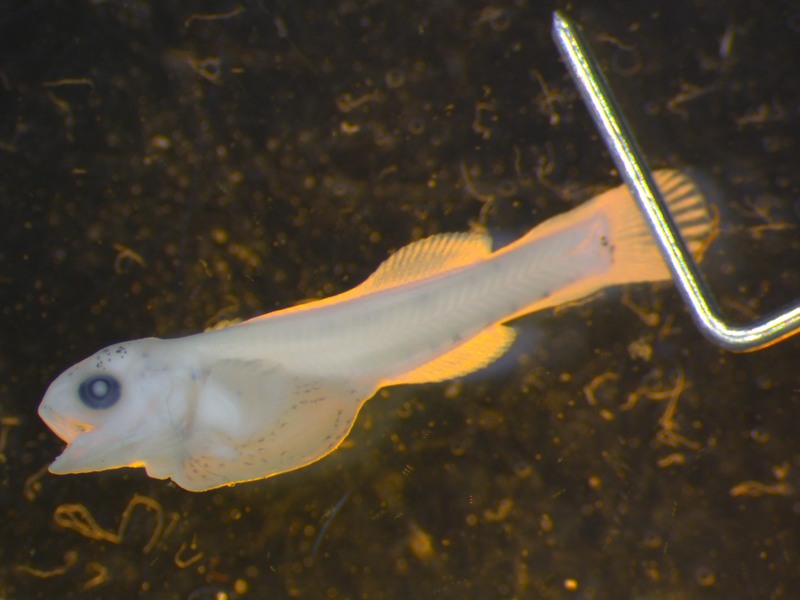 If further assessment confirms that larvae of both Cod species only drift at night, then minimising the water extracted during at night may help protect drifting larvae without significantly altering the amount of water extracted. This entry was posted in Fauna & habitat, Fish, Freshwater aquatic, Planning, monitoring & assessment. Bookmark the permalink.